It’s been quite a long time since Yahoo released the final version of Yahoo Messenger 9. The all new Yahoo Messenger 10 Beta for Windows is out with much needed improvements, especially in the video calling feature. Video calls now be made with a full screen mode. Whoa! I can see my friends in my big screen! Now, that’s certainly cool! But, it should be noted that both the users should have version 10 installed in order to use this feature or else you won’t be able to use it. With this version you can also see your friends’ latest updates from Yahoo!, Flickr, Twitter and more with the new “Updates” view. Language can be changed easily with just a few clicks. Contacts can be sorted out in a better way with this version. And, oh! New icons are included in the IM window! 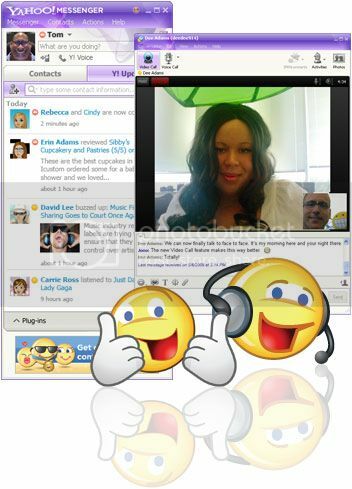 Get the Yahoo Messenger 10 Beta now and experience the new video calling feature and much more!